Note: Hover your mouse over the “My GTI” link above to reveal a drop-down menu which lists write-ups for various changes to the car. I like to hide my mods or make my cars appear ordinary. I don’t even have personalized license plates, an apparent rite of passage here in Virginia. My plan was to get an “S,” debadge it, and mount my 16-inch VW Mambo alloys, sort of disguising the car as a Golf. It would have looked sedate, but come to life as a little sleeper when needed. 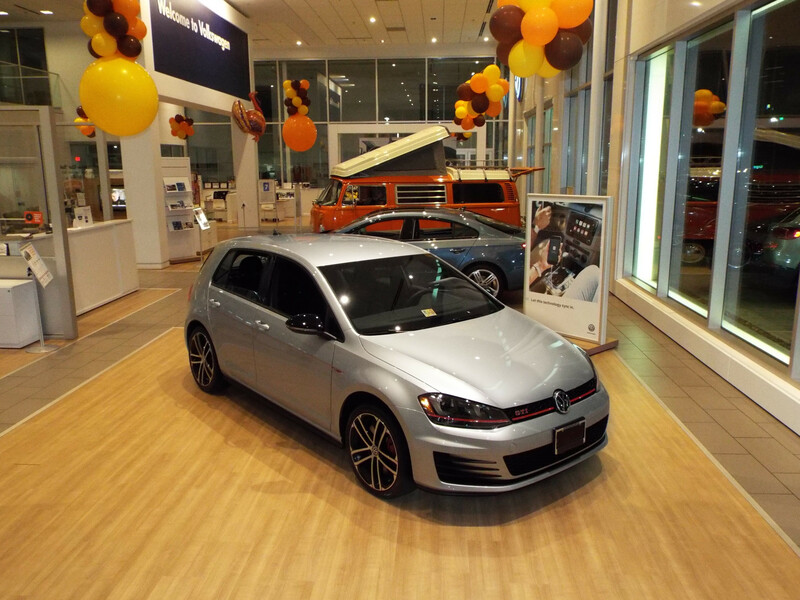 “Why not just get a Golf?” That’s easy: I wanted the more powerful 2.0T. It’s A LOT more fun, especially after a tune! Plus, the GTI is a better car. I quickly decided to buy a “Sport,” which is essentially an “S” with Performance and Lighting Packages, as well as unique wheels. I’ve shared details about my decision here. I’m a pragmatist who’s been driving modestly equipped cars all of his life. I was not interested in the fancy options that come with the upper trim levels, particularly the sunroof or leather seats. I cannot help but recall the adage, “Never put a hole in a roof that doesn’t leak.” This rings even truer as I read reports of leaking, creaking, or cracked sunroof frames. As for the leather seats, I’ve read that they’re hot in the summer and cold in the winter. I’ve always found cloth seats to be pretty comfortable, even if they needed a little more attention to keep clean. Living where summer days reach the upper-90’s, I’ll take a more breathable seat any day! Fender Premium Audio was the only other feature that I wished this car had. At least that used to be the case. I developed my own solution that sounds much better. I’ve been pleasantly surprised by the Lighting Package, even more so after removing the North American Region restrictions (see “Convenience Mods” for more details). I found myself appreciating how good Reflex Silver looks, even when it’s dirty. Call me lazy, but I think Reflex Silver is an “easy button” that looks great almost all the time. 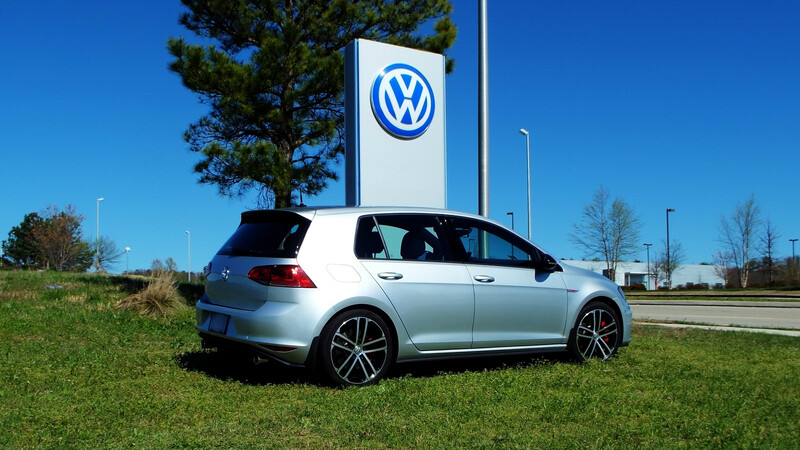 What will set my car apart from other GTIs? Nothing, if you believe your eyes. That’s the point, right? Everything I’ve done so far is either completely hidden, installed discretely, or removable when parking in suspect areas. The car may eventually get some mild springs (just an inch). Regardless, my plan is to keep everything either hidden or discrete. I’ll be sure to share my progress. Check the submenus by hovering your mouse over the “My GTI” link above. I’ve shared a photo album below, too. Here’s a distant view of the hidden panel. Am i the only one reading this article? Thanks for sharing your ride with other people out there.After driving Honda civics for decades, I went to test drive an mk7.5 (2018 GTI,how they call it on the streets) MANNN,I felt in love instantly,there was no way for me to leave that dealership with my 2015 civic SI. I decided to pick up a 2018 white GTI SE and drive it home that very same day. Don’t get me wrong,I’m still very skeptical about RELIABILITY,never had any kind of issues with HONDAS plus the bad rumors on VW are something to worried about,the warranty extension to 6 years/72k did convince me to step up and give it a good shot.Hope to get a stage one APR after 5,000k and gain some extra HP numbers,so far so good,so far so much fun.Enjoy your ride and thanks again for sharing your experience with such a great vehicle. +YEAH,GRAY COLOR IS THE BEST TO KEEP IT AS A SLEEPER ! Also, I forgot to address your reliability concern: My GTI has nearly 60,000 miles on it, APR Stage 1 since 15,000 miles, and has not had any problems other than the clutch slipping, which is to be expected with 380 lb-ft pushing against it… especially with a trailer in tow. HAHA! My rules for keeping the car healthy is to do the scheduled maintenance on time and NEVER drive it briskly until the oil is warmed to at least 180 degrees. Game on at that point! I just found your site, so I will take a look around. I have had a MK7.5 GTI Performance Pack for two weeks! My first GTI, my 3rd Golf, 5th VW, 7th VAG car! I am really enjoying my GTI, discovering new features and just loving the flexible 245 PS engine with the 7 speed DSG box. It’s a lease, so the limits of my mods will by ODBeleven (switched off the Soundaktor, enabled Scandinavian DRLs so far). My last car was a 1.4 TFSI Audi A4, so the performance jump is huge for me. 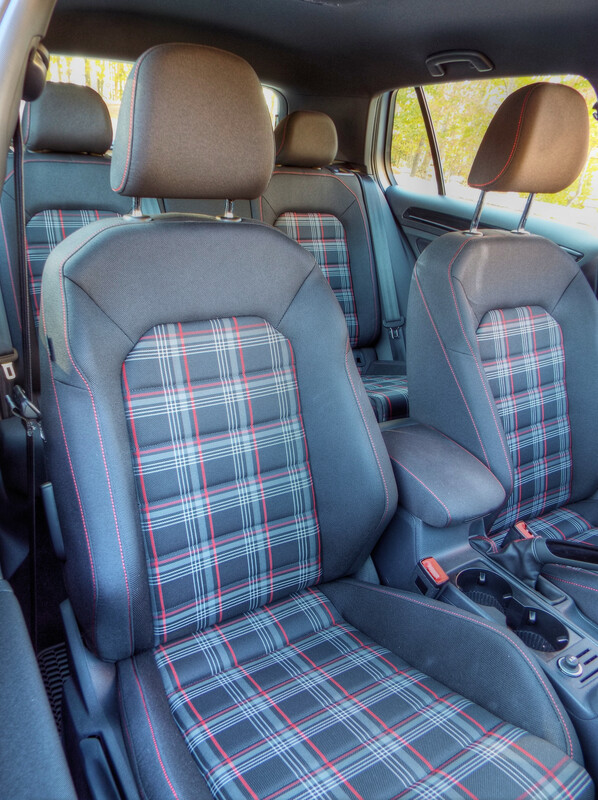 What has really impressed me about the GTI so far is the comfort. For a performance hatch, it does an incredible job of riding smoothly over the cratered UK rural roads I drive to and from work (believe me, if you have not driven in the UK recently, it’s just incredibly bad compared to almost anywhere in the US). Thanks for building this site! John – Thanks for stopping by. My site is a labor of love. StealthTDI.com stood for ~20 years. I’ll keep StealthGTI going for as long as I’m able to get in and out of a Golf-bodied car. HAHA! your GTI is awesome. Im in the process of makeing my MK7 GTI a sleeper. I to love the idea of looking stock. Just got mine 3 months ago. Keep up the blog I am inspired .